The FCA’s Training and Competence (T&C) regime is intended to support consumers by making sure the financial services workforce is appropriately qualified and well regulated. Ensuring your employees are competent and trained effectively can also have a significant impact on company performance. To help you meet these obligations, Unicorn is pleased to announce the release of new T&C functionality on the www.complianceserve.com and http://compliance.skillsserve.com platforms. In conjunction with our strategic partners, FSTP, we have designed and created a series of pre-defined online T&C forms organised into pathways for both regulated and non-regulated roles, for you to record and track the training and competence activities of your employees through the ComplianceServe solution. 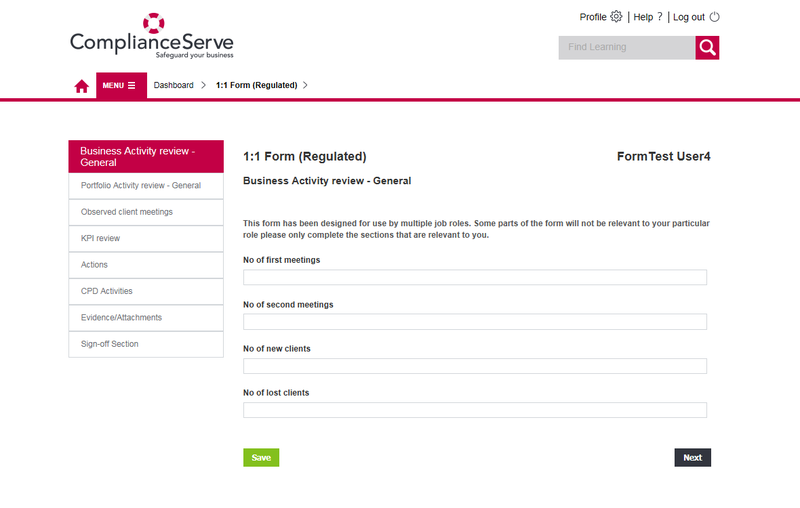 Each form follows a workflow between the manager and the employee with email notification and target dates to keep both parties aware of when one to one meetings, observations and other reviews must be completed. To find out more about the key considerations and practical steps required to implement a robust T&C scheme within ComplianceServe, please refer to the T&C Guidance portlet which has been added to the ComplianceServe home page for Administrators and Line Managers. Once you are ready to make a start, please contact the Unicorn Helpdesk who will enable the new forms and pathways and offer you a short training session via WebEx.